[Olaf Simons, Gotha, Germany] Lets not pretend positivists of the “Republic of the West” can avoid Christmas. They can’t and they love it just as they love all the traditions they overcome by assimilating them. Here are my tips how to delight your beloved (or how to horrify others if necessary). Let us start with the little ones. 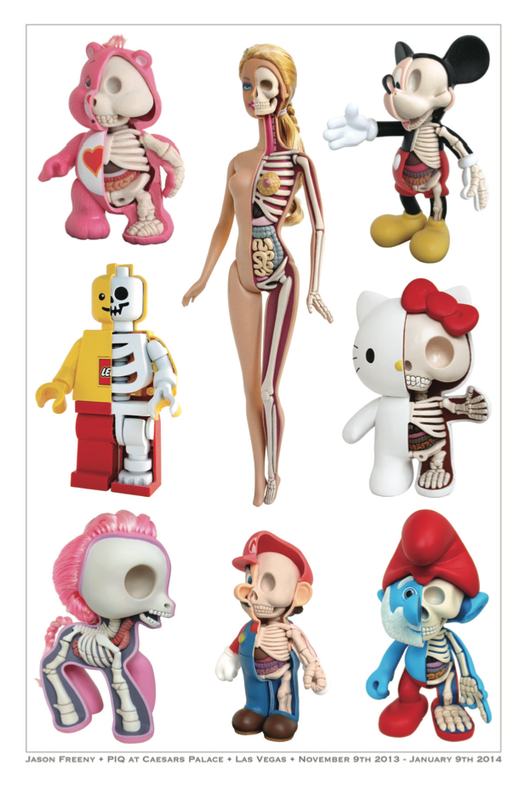 Jason Freeny offers lots of educational toys that leave the lovely surface behind; toys which offer true insight to future doctors and biologists. This poster will serve as a catalogue. Here his website. 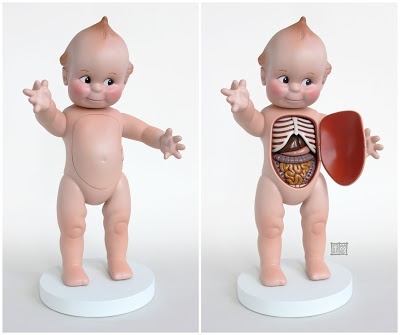 Immensely cute: the baby you can open – quite the right thing for your own baby. 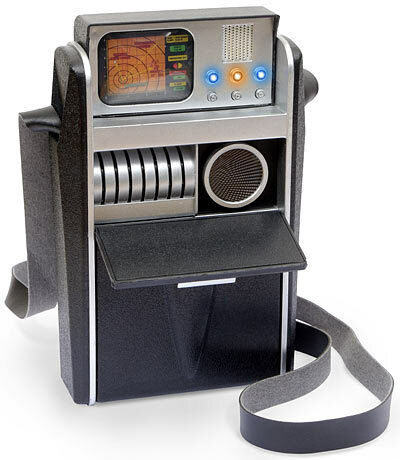 Those advanced in age should love the original Star Trek Tricorder. You can get it for merely $59.99; I assume it is fully functional for that price. Positivistic parents have identified with Spock – normally. They will be able to show their children how to use the thing. 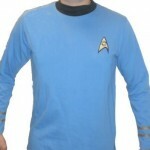 Which reminds me of all those lovely blue things a science officer on board of the Enterprise used to wear. 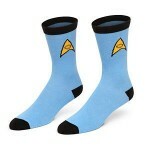 Lovely socks, the regular light blue uniform shirt of the science staff. Ah.. that is also available for women – not quite sure how your science department will react if you decide to wear it; they will probably be delighted. 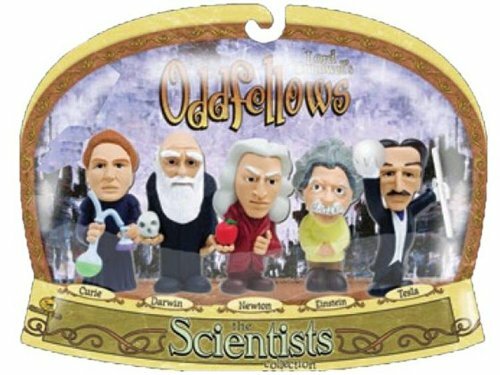 Some innocent role models for those who love such toys: Oddfellows – The Scientists Collection by Jailbreak Toys. You can get them for $249.99 at Amazon. Quite an investment into your kid’s future. Cheaper and more useful, available in different instructive designs: Shower Curtains with the periodic table in black and white. In case you have already stored the 118 elements and their positions in your brain you might prefer the Pi Shower Curtain – EVA vinyl by SMART by Simple Memory Art. Educational shower curtains are also available. Teach the metamorphoses of butterflies and frogs; get your visualisation of the circulation of water in the biosphere. 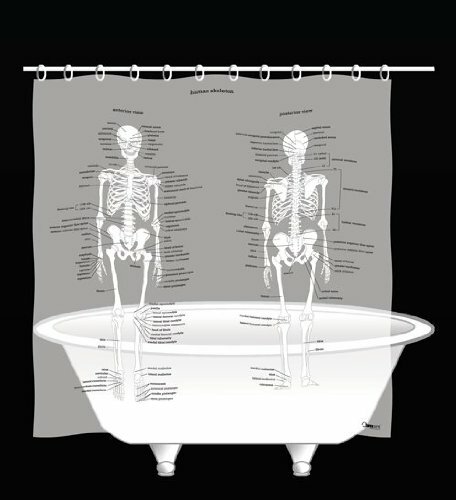 Or: prepare for your medical exam with this useful shower curtain that gives you all the names of bones of the human skeleton. Fashionable items… You can of course make lots of statements: Science is not a liberal conspiracy, in case you live in the US and bother about Creationist propaganda – available in several designs from t-shirt to hoody. Both links lead you to more statements you might want to make. Spread happiness with the serotonin formula on your shirt. 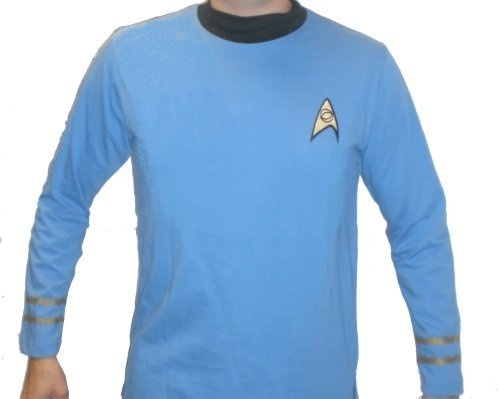 My tip remains the light blue Spock shirt and, more importantly, its feminine counterpart. I have not tested one of the more spectacular instructive items. These anatomy leggings by BlackMilk should be quite a sight in your anatomy class, in case you study medicine. 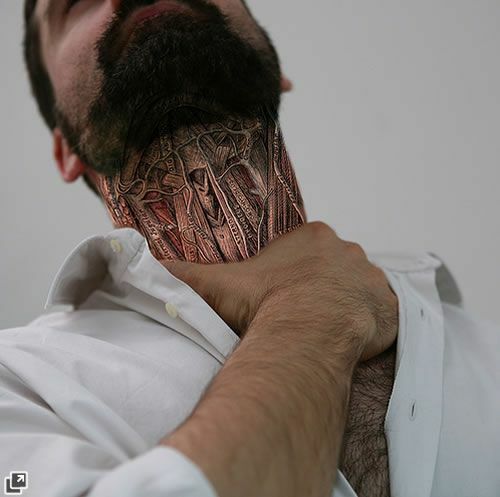 If you are male you might get similar results with a beautiful anatomical tattoo of your throat. If you are rather the fan of smooth and relaxing positivism – I have not tested the acoustic traits amazon offers as downloads to all positivistic customers. Here three different tastes: Collection bien-être, Relaxation, and Positive Succès. At least the covers are quite persuasive. 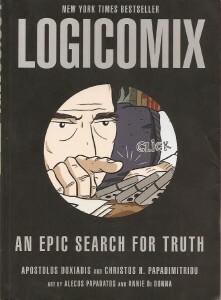 If you are more the logical positivist -this is my recommendation: Logicomix: An Epic Search for Truth – Paperback Bloomsbury USA; Original edition September 29, 2009, by Apostolos Doxiadis and Christos H. Papadimitriou (Authora) and Alecos Papadatos and Annie Di Donna (Illustrators) “This exceptional graphic novel recounts the spiritual odyssey of philosopher Bertrand Russell. 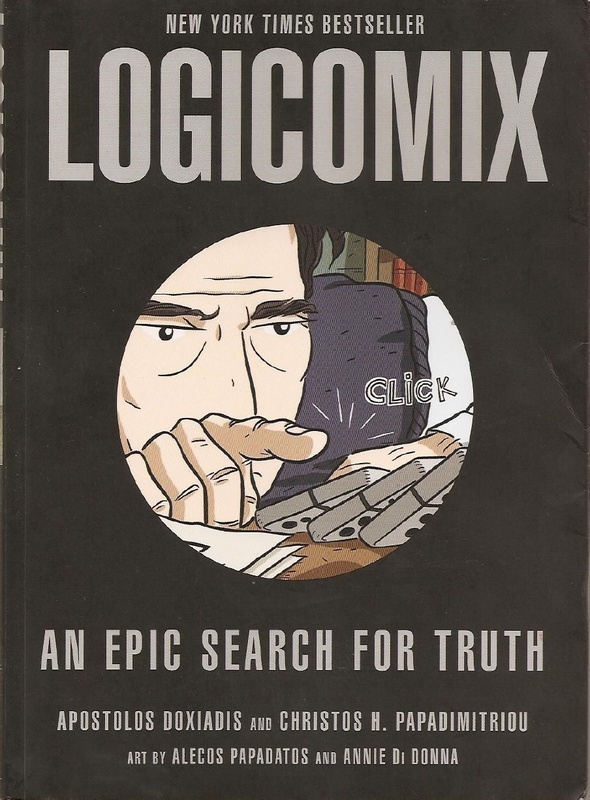 In his agonized search for absolute truth, Russell crosses paths with legendary thinkers like Gottlob Frege, David Hilbert, and Kurt Gödel, and finds a passionate student in the great Ludwig Wittgenstein. But his most ambitious goal—to establish unshakable logical foundations of mathematics—continues to loom.” – so the advertisement – promising! And then there are some things I can only vaguely remember. I downloaded the image and here I am unable to find the source again. 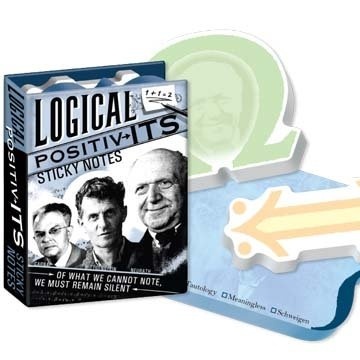 That one was beautiful and useful: Logical Positiv-its Post-it Notes by Jason. A wonderful idea, yet no idea where I saw it. And then there was this beer. I fear I got too much of it, when I first saw it. I cannot remember where. Looks foreign. You will find the source, I am sure. 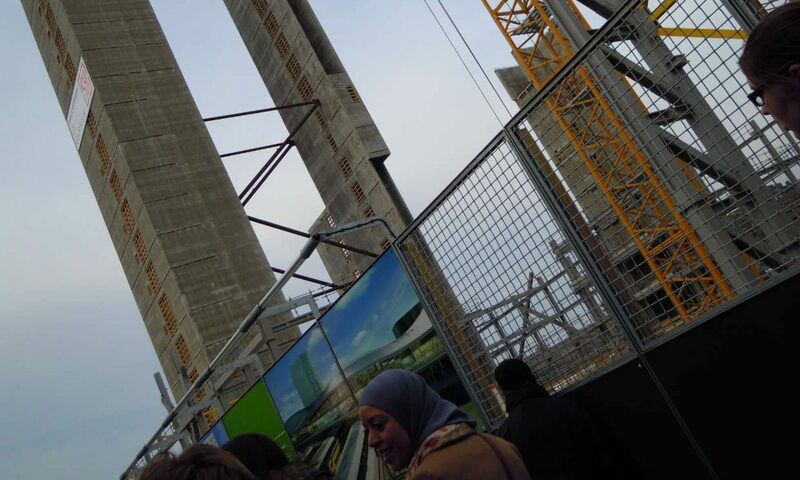 Which reminds me of the open project. 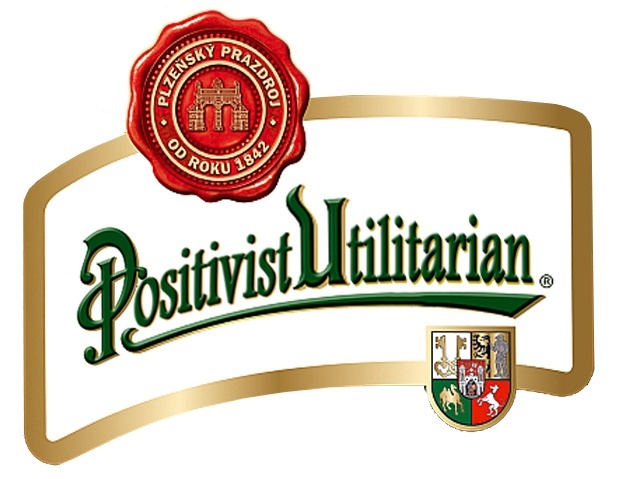 We wanted to sell Positivists Calendars, large ones to adorn rooms. We had begun to assemble the motifs, yet we needed a printer who could offer the thirteen month design. Maybe next year. We are almost positive: Next year, Christmas.